Home > Archive by Category "Business & Employment"
Do you have your own law firm? Perhaps you are a partner at a law firm? Maybe you are thinking of branching out and starting up your own firm? Or, you could be in charge of your law firms bottom line. If any of these are the case then you’ll want to learn more about business intelligence and power bi for law firms to figure out the ways it can help you. Improving your business intelligence or BI system regarding your law firm can help in many ways. It can increase profits, provide billing solutions while streamlining communications. BI can also help you to predict upcoming trends and put you ahead of the game. Let’s face it, increasing profits is important to any business and your law firm will definitely always want to be looking at ways to increase them. There are basically three ways business intelligence can help increase profits. Business intelligence can tell you where expense cuts need to be made. Maybe you’re not offering the right law services or there is a service that people don’t need. With BI you can figure out which of your services are working best and which are not worth the time and effort. When you have a more focused marketing campaign for your law firm you will gain more clients and therefore increase profits. With BI you can learn more about client behaviors and be able to customize your services to their exact needs. You can figure out what times of the day are best to put out an online ad. This may seem like a small change or even insignificant however this little trick can really boost your profits. By using business intelligence you can eliminate inefficiencies. You’ll have access to every piece of your company’s data in one place with BI. This will allow your employees to focus on the most important tasks throughout the day. This is key, especially for bigger firms. You’ll also eliminate excess time searching for data since it’s all right there together in one place. Your profits will be optimized after taking this step. These days clients are looking for an alternative to traditional hourly billing by law firms. Clients want fixed pricing as well as some adjustments that are able to be made during a case or project. But the problem is making money with these new billing structures can be more complicated. Staffing and pricing can become more complicated and therefore clog up your system and daily routines. However, with BI you can spread each employees time out over several projects then you can also balance resources and needs to each specific case. You can spend time on the more expensive cases first and use the remaining resources on cases with fewer fees. Predicting the future is beneficial to anyone and with business intelligence your firm will be able to see trends and figure out clients needs faster which will make you more efficient and your clients happier. If you’re renting out a commercial property or intend to acquire a lease to use the property then it’s likely that you’ll come across the term ‘break notice’ at some point. But what are break notices and what should you be aware of if you’re intending to exercise it or just want to understand the notice before you sign on the dotted line? A break clause is often negotiated between two parts before entering a lease. 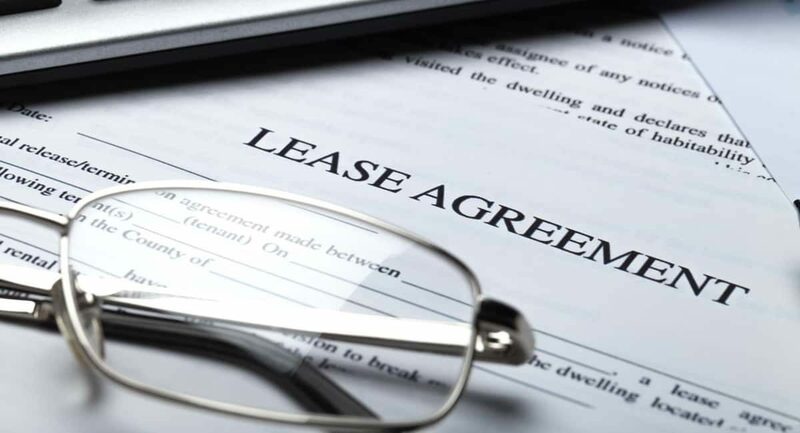 It’s an agreement that means either the landlord, tenant or both parties have the right to end the lease prematurely by issuing a break notice on the other party. For example, if a business wishes to end their lease early then they must serve a break notice to their landlord, as long as certain conditions are met. When can I serve a break notice as a tenant? Be sure to read all the conditions set out in the break clause that you signed when you initially began renting out the property. If you don’t meet the conditions, the landlord is entitled to prevent the tenant from ending the lease early. This is where a solicitor will normally enter the picture, as disputes can arise from the landlord contesting the break clause. The conditions you must meet will differ depending on what the landlord has included, but there are a number of common conditions that landlords usually insert. You will likely have an obligation to pay all rent owed, any other payments owed and ensure that repair obligations have been met. It is essential that a break notice is carefully drafted to ensure it meets all the conditions of the lease and the law. If the notice is incorrect in any way, the tenant is usually obligated with seeing out the remainder of the lease. This is why it’s incredibly important that you contact a break clause solicitor to ensure everything occurs smoothly. What do I do as a landlord if a tenant serves a break notice? Your job of ensuring that a break notice is carried out correctly begins when you have inserted a break clause in a lease that a tenant is about to sign. You must make sure the tenant understands all the conditions of the break clause and how to serve a break notice. Before you accept a break notice from a tenant, you need to ensure that all the conditions of the lease have been met and all monies owed are paid. If you have inserted an unconditional break clause in your lease, you simply need to ensure that the tenant leaves the property on the break date. For the tenant, they need to ensure that all their goods and fixtures are removed, keys are returned and the property isn’t occupied on the break date. To sum up, all parties should be 100% aware of what is required in a break notice and all obligations are met. According to the CDC, approximately ten million individuals visited emergency centers in the hospitals to receive medical treatments for falls between 2009 and 2010. Slips and falls have been reported to be the leading cause of accidents in the workplaces. A slip and fall incident can be extremely serious since a business may be sued for allowing the hazardous condition to exist. To be well-prepared for these kinds of cases, here is a step-by-step guide to follow if an individual falls over in your business premises. If an individual falls and is injured in your business premises, your first step should be calling for medical assistance. Try to keep the victim in a comfortable situation and do not move them around to avoid aggravating their injuries. You should also try to control bleeding if any, and check their airways to ensure there are no obstructions in their breathing. Once first aid has been given and the victim attended to by the medical professionals, inspect the site of the fall to determine whether dangerous conditions still exist. The carpeting or flooring should be checked to ascertain if they are in their right condition so as to avoid similar incidents of slip and fall from occurring. You also need to remember that not all hazardous conditions can be attributed to the premises owner being held liable for a fall. For example, on a snowy or rainy day, building floors usually get wet and are usually slippery. In such cases, falls can be perceived to be beyond the business’s control. As the owner of the business, you also need to create an incident report that would detail the victim’s name, the site of fall, conditions that necessitated the fall, injuries sustained, hospital visited, and names of witnesses. This is a crucial report as it details what transpired. You can also attach other supporting documents such as photos of the site can be crucial as these can help you during the claim if no obvious hazard existed at the time of the fall. Make sure you are careful with what you say after the incident. In fact, it is best not to say anything which may sound like you are admitting liability. Refrain from making statements in the absence of a premises liability attorney. Your lawyer should be in a position to provide guidance on how you are going to deal with the legal process in a way that would protect your interests. There are no precise means of determining when the owner of a business is legally responsible for the injuries sustained by other people within his or her premises. Every case depends on how the business owner acted during a slip and fall incident and whether the plaintiff or victim acted carelessly on his or her part to warrant the injuries sustained. As a business owner, following the pointers highlighted above will help to avoid liability when a victim claims you were negligent and failed to take necessary precautions to prevent slips and falls. If you have found a franchise that you would like to sell to others, then it may be that you need a lawyer to ensure that you are complying with all your state’s laws, as well as federal laws when selling a franchise. Failure to do so could lead to potential buyers having no interest in your franchise or reporting you to the state for not doing things according to the law. To be able to sell a franchise, you first need an FDD. An FDD is a Franchise Disclosure Document and contains within it everything that prospective buyers need to make a decision on whether they want to be a part of your franchise or not. It can be difficult to figure out everything that needs to be contained in this document, and that is why a lawyer could help. They can aid in bridging the gaps between your knowledge and theirs, meaning your FDD will be up to perfect standard. If you aren’t sure what an FDD is, it is certainly a good idea to hire a lawyer to help you form one. Each state has different laws surrounding owning a franchise and selling one. Some states only abide by the federal laws while others have their own laws and registration fees. It is essential you follow both the Federal Franchising Laws, as well as your own state laws to ensure that your franchise doesn’t get stopped in its tracks before you even get a chance to sell it. If you have everything ready to sell your franchise, including your FDD, you will want to advertise your franchise before selling. Again, each state has a different rule regarding this and it may be that your state requires you to be registered before an advert can be published. You may also have to present the state with your advert, so they can approve it before you can use it. If this sounds like too much and you’re unsure of how to advertise while abiding by your state laws, a franchise attorney can review your advertisement for you and make any reasonable adjustments, leaving you with one less thing to worry about. A franchise attorney will set up a plan for your franchise and how to sell it, including regulating any advertisements so you don’t have to. This means you can work alongside them to ensure selling your franchise goes off without a hitch and you can deal with the more important stuff, while they study your FDD and provide you with one that will comply with any laws. They can also help you in reducing any auditing costs. If you are unsure on exactly how to sell your franchise, it is best to use legal protection to provide you with peace of mind that you are doing everything as you should. Starting a small business can change your life for the better, allowing you to take control of your own destiny and to build your reputation in the local community and beyond. If you’re particularly lucky, you can turn it into a family business and get your partner or your children involved. At the same time, though, it isn’t always easy. There are specific legal requirements that you need to adhere to which can change from region to region, and if you find yourself falling foul of them, you could be in for a fine – or worse! And so without further ado, here are five steps to starting a business for those who are worried about legalities and compliance. Let’s get started. 1. Do you need help? If you’re struggling, think back to when you were a student and you got college assignment help. Now it’s time for you to seek legal help! Hiring a lawyer or even just a business expert can save you a lot of time in the long run because you can make sure that everything is in order right from the very beginning. 2. Can you use the name? One of the earliest things that people tend to do when starting out is to come up with a name for their company. Just remember that one of the most basic legal requirements for starting a small business is to make sure that you’re legally allowed to use the name. Make sure that nobody else has copyrighted key terms and consider copyrighting them yourself. 3. Have you sorted your tax? In the United States, your business will need to comply with federal, state and local tax laws, while in the UK you’ll need to register either as self-employed or as a limited company, business partnership or social enterprise. Make sure that you’re registered and that you know how much tax you need to pay so you can save up and pay on time accordingly. To do that successfully, you’ll have to either hire an accountant or do the accounting by yourself. With the use of software, you can easily sync all your transactions from your CRM or POS system (if you have one). 4. What are the local employment laws? While you may be planning to start out with just yourself, if your business grows then you’ll eventually find yourself taking on other employees to help you with the workload. If that’s the case, you’ll need to make sure that you’re in full compliance with any laws that cover your area. Of course, it’s also in your best interests to be an honest employer because word spreads and if you treat employees unfairly, no one will want to work for or with you. 5. Do you have the right licenses? In many cases, you’ll require certain permits and licenses if you want to do business. The same goes for if you need to obtain permission to use certain patents and even images. For example, you may require the licenses to use imagery in your social networking presence or to include the logos of a company whose products you stock. Now you know how to legally start a business, the next step is for you to make your dreams a reality. Carve out some time to follow the steps to starting a business that we’ve shared with you, but make sure that you’re ready for the commitment required before you get started. Being able to legally create a business is one thing, but to make it sustainable is another. Spend some time reading articles and how-to guides and be sure to perfect your business plan so that you get started with the most solid foundation possible. Good luck. Bryan Davis is a freelance writer and registered business owner. He writes about his successes and failures in the hope that he can stop other people from repeating his mistakes. He believes that anyone can be a businessperson and prides himself on the fact that he helps people to reach their full potential. 2.3 million couples wed every year in the US. Unfortunately, half of them will likely end up in divorce, according to research. Divorce in subsequent marriages is even higher at 67% for the second, and 73% for third marriages. While we all want a “happy ending” to our marriage, the reality is that it may not happen. And even if it is physically and mentally tormenting, divorce may be the best solution to a dwindling relationship. But divorce itself is another painful process. There’s just so much to consider – the kids, your properties, your finances, and your business which is your most valuable financial asset. Divorce proceedings are also very expensive. From filing the petition to getting settlements, divorce can cost you $15,500 on average. Of course, the cost shouldn’t hold you back from ending an unhealthy marriage. You can always find financing help, such as payday loans online for divorce costs. You know it – it’s never easy to put up a business. It takes blood and sweat. You most likely spent countless hours and sleepless nights creating a perfect business model and spent most if not all of your savings to it. Little you know, once you file for a divorce, your spouse may be entitled to as much as 50% of your business. That hurts, especially when you’re the only one who worked hard for it. Perhaps the last thing you want to happen is for your former spouse to become your business partner. So how do you protect your business against the consequences of a divorce? No couple gets married thinking that they will end up in divorce. While you must hope for the best, you should still anticipate the worst possible scenario especially if you have a lot of financial assets. Take note that the business you started prior to your marriage is considered ‘individual property’, not a ‘shared property’. However, any increase in value during the course of your marriage may be considered marital property and therefore can be subject to equal distribution in a divorce. The best way to protect your business from divorce is by creating a prenuptial agreement. It allows you to determine your pre-existing assets and prevent your spouse from any claims over it in the future. Know your state laws concerning valuation and division of marital property during divorce. It always pays to consult a good lawyer to make sure that you understand the bits and pieces of the said laws, and know what to do when the worst-case scenario happens. If you’re already going through a divorce proceeding, the more you will need an attorney who will find ways to protect your business. There are various options to ensure that your ex-spouse doesn’t get a hold of your business even if you lack premarital agreement and your lawyer should be able to find the best one. Usually, the court appoints a valuation professional to determine the business’s value (which is often based on a 10-year projection of growth or revenue). Such valuation is very important if you opt to buy out your ex’s share in the business. So a crucial step is to hire a third-party organization to ensure the accuracy and fairness of the valuation. In case you don’t have enough money to buy out your ex’s share of the company, you have the option to trade off other assets to gain full business ownership. Such assets may include your other investments, equipment, corporate stocks, and other valuable possessions. Additionally, you may start building your own personal assets as soon as possible especially when you start noticing that your marriage is dwindling. As a precaution, you should be able to raise enough funds to pay a large sum of money or make monthly repayments to your ex so you could have full ownership of your business. Did you know that the amount of time your spouse spent in helping you build your business can be used to justify his/her share in your company? It doesn’t matter whether your spouse is holding a minor role in your company. Removing his/her involvement is one of the best ways to protect your business against divorce claims.If you want to protect your business against the devastating consequences of divorce, consider these steps. Your business is one of your most valuable financial assets. It took you blood and sweat to build and grow your company. The last thing you want to happen is to see your business fall into the hands of your ex-spouse after your divorce. Almost 7 out of 10 people want to open their businesses rather than doing hard job. In job, you earn a limited amount of money while in your own business, you can generate hundreds and thousands of dollars in a month or even in 14-15 days. Therefore, the business has its own fan base that is bar more than the jobs. If you also want to open your own business, then you must be skilled in some sector. Like if you want to open your software house, then you must have experience in managing and directing department. Other than this, there are hundreds of businesses that you can start to earn money. Some of the most popular and easy ones are mentioned here for the readers. Why everyone want to establish their own business? Yes, it is a common prescription that everyone wants to open their own business rather than doing jobs for others. In jobs, you can earn a limited amount of money whereas in the businesses you will be able to earn money according to your hard work and efforts. Therefore, you must also go with the flow. Start your business today and earn money according to your efforts and desires. For more information, view here. There are hundreds of businesses that you can start in the year 2019 but the best ones are available here for the readers. You can generate handsome amount of income from these ideas if you have skills related to them. All professional businesses require some sort of skills. If you want to become a professional in any one of them, then don’t be late in getting related skills. One of the most popular businesses in today’s era is graphics designing. Yes, a graphic designer is highly paid for his/her creative skills. We know that every business needs the advertisement factor. If you will not advertise your products in the world, then you don’t be able to earn money. Therefore, be a designer to create useful ads. The trend of online business is increasing in the world. Therefore, more number of content writers is arriving in the market. Every website needs content for purposeful results. if you will become a content writer, then you will be able to generate hundreds of dollars each day. The best way to get income from the Google is to open your own website. There are numerous website niches on which you can work. But be precise in the selection of a versatile niche. If I could say that this is one of the handsome way to generate good amount of dollars, then it will not be wrong. The trend of online selling and purchasing is increasing in the world due to modern technology. Everyone looks to buy things from their homes due to tiredness and other factors. So, starting an e-commerce store will be a good choice. Therefore, start building your own site for the good results. The other best way to earn money in modern era is to open your photography business. Yes, due to increased trend of fashion, every industry needs a professional photographer to make catchy pictures and other ads. If you want to become rich in less days, then start your food business now. All of us love to eat our desirable food at any cost. Therefore, starting your own food business with some good dishes will give you fruitful results. Fitness goals are vital things that every men and women want to get. If you will open your small gym in your area for the fitness purpose, then you can earn handsome amount of money from it. There will be a need of money in the start. But after that, you can generate double amount of money. In a given year, 90% of businesses get engaged in litigation at any given time. And 36%-53% of small businesses get involved in at least one litigation. You don’t want to think about having to call your lawyer to protect your business. But the truth is, statistically, you’re going to have to call them sooner rather than later. Don’t wait until you get sued to get in touch. Here are the most important questions to ask an attorney when you’re first starting a business. How Can a Business Lawyer Help My Business? A business lawyer covers a wide variety of tasks for a business, advising them on their legal rights, responsibilities, and obligations. You might not want to contact a lawyer until you’re already in trouble, but the truth is, you should be in touch with a business lawyer way before that. If you contact a lawyer after the sheriff is knocking on your door, all they can really do is minimize damage. Instead, get in touch with a business lawyer early and ask more about what a business attorney can do for you. This seems like a basic question, but it’s actually one of the most important things you can ask when you sit down with a business attorney. The structure of your business isn’t just a formality. It changes how you file your taxes, and it changes your degree of risk. If you don’t form a formal business entity, your business will be a sole proprietorship or general partnership, which involves a higher degree of risk. To limit liability, you could form a limited liability company, limited liability partnership, or a corporation. If you don’t know which one is best for your company, it’s vital that you ask a business attorney so that you don’t run into problems later. How Do I Protect My Personal Assets? Regardless of the specific structure you choose for your business, you want to structure your business to protect your non-business assets. How many stories have you heard about a person losing their home or other assets when their business runs into financial trouble? You don’t want that to happen to you. This is where a business attorney comes in. They can help you make sense of how to protect your assets and the regulations you need to follow to ensure your assets are protected. Regardless of the type of business you own, there is a huge range of state and federal regulations that apply to you. If you don’t comply with all of them, it can cost you big, everything from fines to employment-related litigation. Laws and regulations can cover everything from anti-discrimination laws to wage laws and health and safety regulations. As any lawyer will tell you, ignorance of the laws doesn’t excuse not following them. One of the important things a business lawyer can do for you is let you know what regulations you need to be aware of and what you are legally allowed to do. Part of this process of minimizing risk and protecting your assets involves writing your bylaws properly. These bylaws are the roadmap to running your business. It tells you what you do and how to do it. It explains how decisions will be made, how to handle ownership changes, how to issue stock, and when and how to run shareholder meetings. All of this comes with more legal red tape than you might think. A corporate attorney can ensure that your bylaws are written well enough to keep your business safe. All businesses, yours included, need certain trademarks to identify themselves from other businesses. This can include everything from your business name to your slogans to your packaging. But you need to take the proper steps to protect your business against theft of intellectual property. To do this, you need to register your trademark with the US Patent and Trademark Office. Businesses may also have copyrights for products, especially if you work in a creative field. A business lawyer can help you identify what intellectual property needs protecting and how you can properly protect it. What Contracts Does My Business Need? Contracts are one of the most basic things you deal with on a day-to-day basis in your business. But they’re central to successfully running a business, as they spell out your responsibilities and obligations in any agreement. 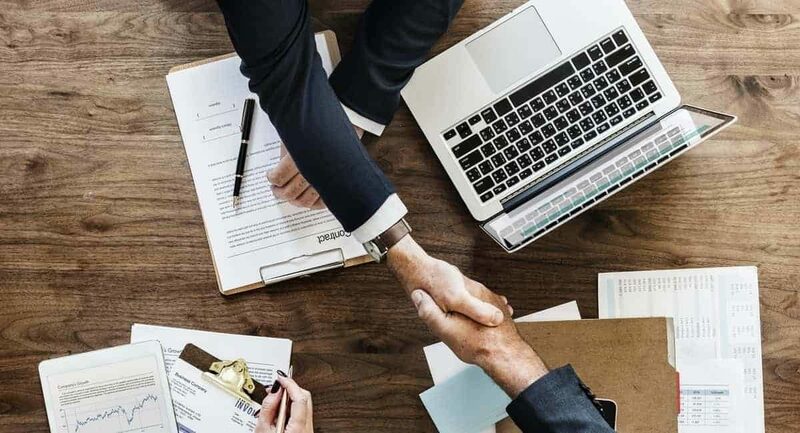 A well-written contract can reduce the number of legal disputes, ensure you get paid, and provide a clear course of action if one party doesn’t hold up their end of the deal. This is why it’s vital to talk to a business attorney about what kinds of contracts your business needs. You should also ask a business attorney to help write your contracts. They can help you with one-off contracts and help you draft standard contracts that you’ll use over and over, like employment contracts. Now that you know what questions to ask an attorney, you need to find an attorney to answer them for you. We help you find the right lawyer for your business, whatever your specific needs are. If you’d like to start using our service, check out our pricing options, or get in touch with any questions you may have. Becoming a lawyer implies you have to complete your college graduation from a law school and also pass the bar exam to get a job. By the process end, you may have student loan debt and so it is best to know an average lawyer salary. According to the 2015 Bureau of Labor Statistics, the median pay in the U.S. for lawyers was $115,820. The lawyer’s hourly pay worked out per hour to $55.69, however many other lawyers’ bill more than this hourly rate services. The qualifications at the entry-level lawyers are enforced strictly. Lawyers must possess a J.D. degree and should be admitted to the bar. The BLS projects between 2014 and 2024, the American workplace featuring number of lawyers will grow by 6% is expected each year. The fact is that all lawyers do not represent in court for individual clients. There are some working in-house for non-profits and corporations, some work in mediation or arbitration, while some for the government. This also includes lawyers working at huge, multi-national firms or even owning individual practices. Thus the average lawyer salary varies with the position and its relevant demand. The factors determining the salary of a lawyer includes the geography as well. The national average lawyer salary is stated to be at $106,148 by a salary aggregating site, Glassdoor, but reports reveal that the New York lawyer’s salary as $114,134 and the Kansas City, MO shown by Glassdoor as average is $89,452. The state that is top paying for lawyers is the District of Columbia. The mean wage annually for lawyers is $174,480. The lawyers who are other high-paying states include New York, California, Delaware and Massachusetts. The metro area that is top-paying for lawyers is San Jose-Sunnyvale-Santa Clara, CA. Here the lawyers annual mean wage earning is $204,010. Other metro areas that are top-paying for lawyers are: San Francisco-Redwood City-South San Francisco, CA; Los Angeles-Long Beach-Glendale, CA, Bridgeport-Stamford-Norwalk, CT; and New York-Jersey City-White Plains, NY-NJ. The fact also is that it is not the metro areas alone that pay high salary to the lawyers. Of course, but the highest numbers of lawyers are the Washington-Arlington-Alexandria metro areas. It may surprise you to know the second highest city having concentration of lawyers is Tallahassee, FL. Nevertheless, the other metro areas featuring concentration of lawyers include San Francisco-Redwood City-South San Francisco, CA, Philadelphia, PA; and New York-Jersey City-White Plains, NY-NJ. As per the BLS of 2015, lawyers earned an average salary of $115,820. The best-paid lawyers received more than $187,200, and the lowest paid received $55,870. Lawyer’s average annual earned salary is $136,260 in 2015 and this is more than other occupations. The lawyer profession that pays highest is the metropolitan areas of Bridgeport, California, San Jose, San Francisco and Connecticut. Of course, the New York City and Los Angeles also pays exceptionally well. Among all the factors, location was considered to be an authentic factor in determining the income expected as average lawyer salary.